> NAKADEN KEORI CO., LTD.
For the main wool products, Nakaden Keori has a spinning company in China, jointly established with the Japan Wool Textile Co., Ltd. and Marubeni Corporation. This joint endeavor enables us to procure a stable supply of good quality yarn. For the pre-process of yarn dyeing, our subsidiary company, Takumi Senshoku, carries out the dyeing process on wool, synthetic yarn, and blended yarn. 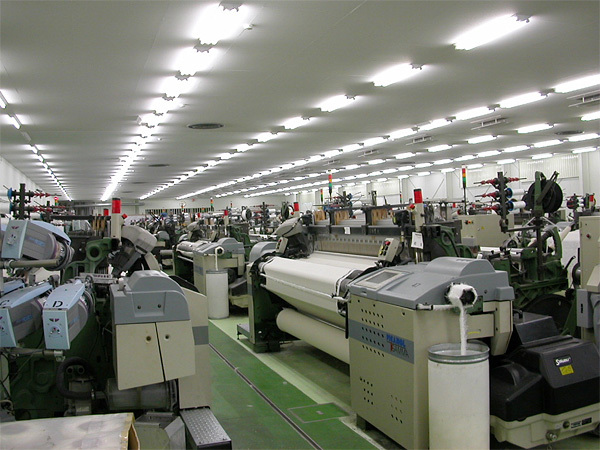 Nakaden Keori and our subcontract companies provide woven materials with 126 innovative weaving machines, taking pride in its top-class productivity in Japan. 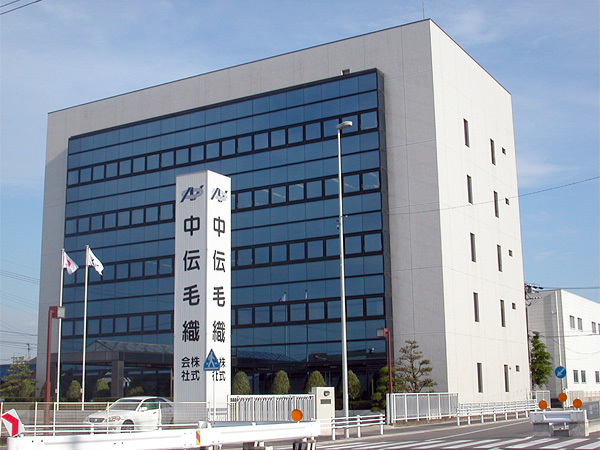 Our subsidiary company, Takumi Seiri is in charge of the dyeing processing that is the final stage of textile manufacture. Our group has a comprehensive production system from materials to the final processing stage in order to manufacture high quality products. We believe that our strength is such a system that is ready to respond promptly to customer requests. As a new product promotion, Nakaden Keori promotes its original brand “TEXTOR” for women and “t?kt” for men in every season.